Today only get select 4-star games under $20. HOT - Graco Travel System + Swing - Melbourne $149.99 shipped! Earn $10 Kohls Cash for every $50 spent thru 12/10/11. *HOT* Designer Boots - SKECHERS - Only $35 Shipped! 6pm Deals! Guess, Born, Fox, b.o.c., more! Free shipping! AKAnne Klein up to 70% off! Fox up to 70% off! Quality comfort up to 70% off! Contemporary High Fashion up to 70% off! Casual comfort boots up to 60% off! Guess up to 70% off! Born up to 70% off! From now until December 25th, when you spend $30 or more, you can purchase a $10 gift card for only $5. Buy 1 Get 1 50% Off THESE LEGO Construction Sets! or Free shipping on $49. No code required. Free shipping on $49. No code required. Amazon Lightning deals and other hot deals in the PYP forums! Other Amazon LIGHTNING Deals! A lot of deals - especially in SHOES today! Amazon Gold Box Sale - Save Up to 50% on Select Fashion and Cold-Weather Boots! This Essence Gift Set features the ultimate body care essentials to keep skin and hair silky and smooth this winter. The gift set includes Olay Ultra Moisture Body Wash with Shea Butter, Olay Ultra Moisture Lotion, Pantene Relax and Natural Shampoo and a bath puff. Plus, as an added bonus, the gift set includes a coupon book and a one-year subscription to Essence magazine or any one of five other publications. NOTE: For the Olay or Venus gift sets that come with Allure Magazine you should be able to send in for a $9 rebate if you don't want the magazine subscription. Click here for more information. Additional 10% Off all SALE items! Valid December 10-11, 2011. 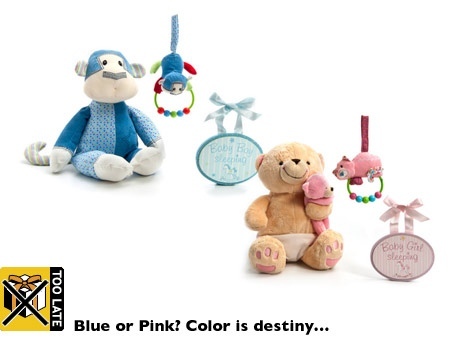 Gund Plush Baby Bundle $15 shipped! Or 3 for $35 shipped! Zazzle - Custom Holiday Ornaments Up to 55% Off! Custom Holiday Ornaments (Up to 55% Off). Three Options Available. After purchasing your Groupon, please support PYP by shopping @ Zazzle through our link: zazzle.com. Thanks! For $25, you get $50 worth of customizable holiday ornaments. For $35, you get $75 worth of customizable holiday ornaments. For $45, you get $100 worth of customizable holiday ornaments. 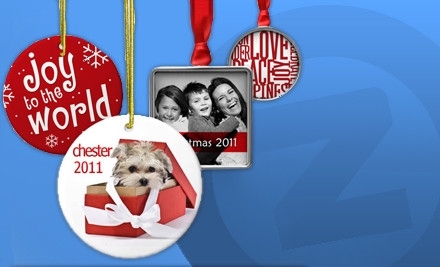 Using Zazzle.com's intuitive online design tools, customers can personalize and create their own dangling holiday pendants with self-uploaded pictures and self-authored text. Custom ornaments, available in seven different shapes and sizes, begin as smooth, unmarked pieces of ceramic ($11.95) or shiny slabs of metal ($19.95), which patrons spruce up with photographs, drawings, or inspirational quotes by Anonymous. After fully adorning a shape such as a ceramic star or metal circle, bauble artists submit their masterpiece to the elves of Zazzle.com, who print the ornaments--usually within 24 hours--using vibrant, full-color inks. Decorations prepare for bough-gripping with a durable gold string or red ribbon, and zip to doorsteps after receiving a butterfly kiss from Santa's full-face beard. To receive ornaments by December 24, orders must be placed by December 12 at 6 p.m. EST with standard shipping, December 15 at 6 p.m. EST with two-day shipping, or December 18 at 6 p.m. EST with express shipping. Visit Zazzle.com's holiday shipping deadlines for more information.